Is Mechatronics a Good Field for Someone Who Loves Computers? Mechatronics is a multifaceted field of engineering technology that combines mechanical engineering, electronics, robotics, telecommunications, computer engineering, control, and systems engineering. This field focuses on designing and developing manufacturing equipment, and how to maintain them. Although mechatronics is a relatively new field, it has been around for a long time but in different forms. Computers help in the creation of intelligent agents through computational intelligence or CI. Computational intelligence majors on theory, designing, application, and the development of linguistically and biologically motivated computational paradigms by combining elements of adaptation, learning, and evolution. Although computational intelligence was initially a branch of artificial intelligence, now it’s a separate domain. Unlike artificial intelligence techniques, which move from top-to-bottom, computational intelligence techniques move from bottom-up. Computational intelligence covers neural networks, genetic algorithms, connectionist systems, evolutionary programming, swarm intelligence, fuzzy systems, hybrid intelligent systems, and artificial immune systems. Additionally, computational intelligence is related to soft computing. Soft computing is different from hard computing. Computers are the most important part of mechatronics. They are not only required in software components of the mechanical systems, but they also play a major role in the hardware section of mechatronics. As a mechatronic technician, you will use computers for designing various machines and putting them together before you can actually assemble them. Apart from designing machines, computers are also used in controlling them. If you love computers, then you’ll have an easy time as a mechatronics technician. To become one, formal education is important whereby you’ll learn how to draft using computer-based drafting software such as Auto CAD among others. For you to become a mechatronics technician, you have to pursue a bachelor’s degree in engineering technology, or a similar focus. Mechatronics technician are also required to have knowledge on how to operate computer-aided software so that they can complete their work. Additionally, they should also have a solid understanding of robotics, calculus, physics, and circuitry. 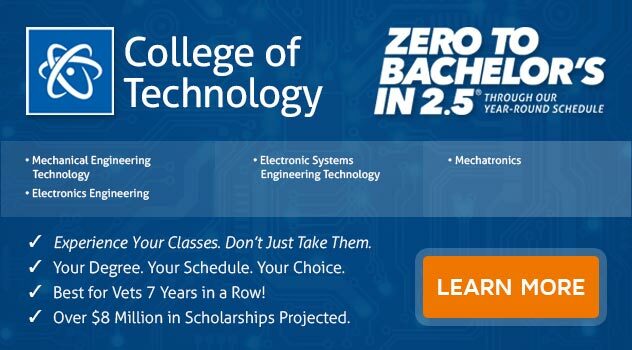 Just like other fields, you will start with an introduction to mechatronics. Here, you will study both analog and digital electronics. You will also study electrical engineering technology basics such as logic gates, sensors, op-amps, microprocessors, and controllers. You will study topics on control systems such as the creation, repair, and troubleshooting of thermal, electrical, flow, and mechanical systems. Other topics such as digital control will prepare you to work with remote controllers. Additionally, you will learn how to use computers and stability analysis when testing mechanical systems. Digital electronics lessons follow guidelines that are set by the NCIST (National Center for Integrated Systems Technology) curriculum. You will learn digital electronics topics including digital systems and learn the use of alternating circuits and direct currents in manufacturing. You will also learn how to troubleshoot and replace faulty circuits. This course will familiarize you with computed numerically controlled machines or CNC machines, robots, conveyor belts, and other machines that are used in manufacturing. Typical coursework will include examining the reliability of machines, testing and examining flawed manufacturing components while considering environmental factors. Some of the class projects you will handle include creating a robot-based bar code or other tasks that combine different engineering skills. This course focuses mainly on topics like diagnosing, repairing and replacing hydraulic components in manufacturing machines. The coursework will mainly focus on construction and the use of hydraulics in manufacturing machines. Through hydraulics and pneumatics systems lab work, you will learn how to construct hydraulics and how to assemble and disassemble these components. Some of the skills and techniques you will acquire in this course will be applied in other engineering technology areas. Do You Want to be a Mechatronics Technician? Are you excited about the field of mechatronics? If you want to earn a Bachelor of Science in Electronics Engineering Technology with a Concentration in Mechatronics, ECPI University offers this course at an accelerated rate. For more information about this exciting opportunity, connect with a helpful admissions representative today.